Dimensions: 8 1/4 x 12 3/8 in. 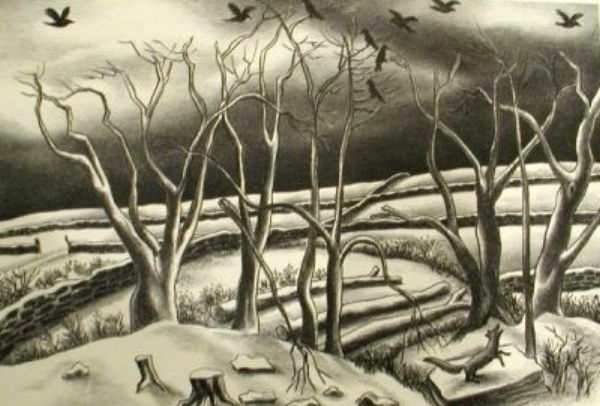 Title: In a list of prints hand-written by the artist and dated June 14, 1958, Fiene specifies a print to which he gives the title "Frosty Morning." In 1937, A painting titled "Frosty Morning" won the Norman Wait Harris Silver Medal form the Art Institute of Chicago (Illustrated Art Digest, Dec. 1 1937). The image in the painting is similar to the lithograph and Fiene's reference on the above mentioned list is probably to this print. Nevertheless, the catalogue raisonné accepts the title "Winter Morning" given by the publisher, Associated American Artists. 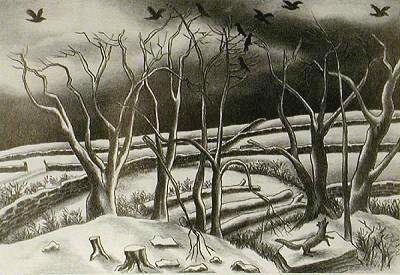 Related Works: Winter Evening, an Associated American Artists (AAA) lithograph from 1936 is a predecessor and companion piece to this work.